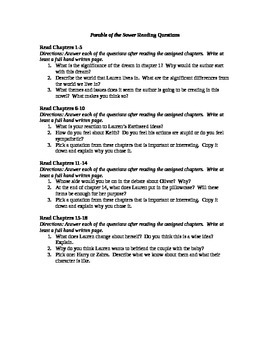 This product has the chapters of the novel divided into 6 assignments. 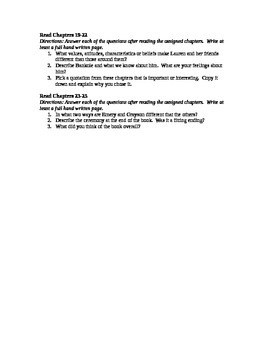 Each assignment has three questions which the students need to answer in a full page. I use these to assess that they read rather than reading quizzes.